"Yeah? What about my mom?" 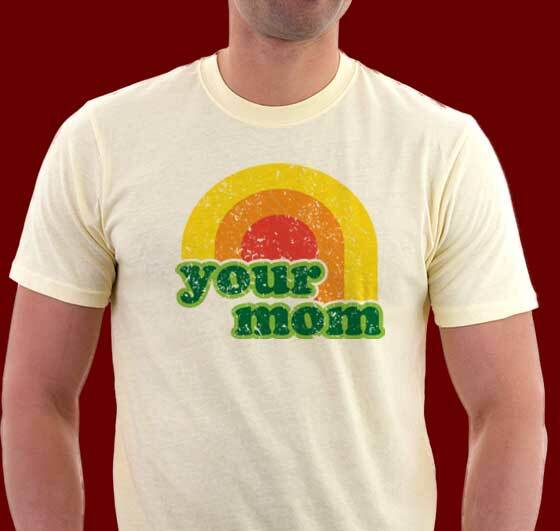 Insulting your friends' dear mothers never grows old and now you can do it in grand style with this eye-catching vintage shirt design. With great colors and cool distressed effects, this shirt is full of humor, vintage 70s style and attitude.